Mr. Price was the guest speaker at the Institute of International and European Affairs, where he outlined the importance of developing the existing relationship between Ireland and Wales when Britain leaves the European Union. 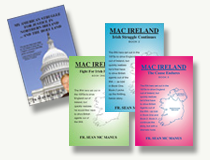 Ireland and Wales share a common Celtic linguistic heritage, which is under threat. According to the latest figures, 3,000 Welsh speakers are being lost every year due to death and emigration and just over half of the population in the strongest Welsh-speaking areas are native speakers. Speaking to RTÉ, Mr. Price said that in order to preserve Welsh, the economic challenges of life in the western part of Wales must be tackled. Plaid Cymru is in opposition in a Labour-led Welsh Assembly. The government’s future proposals on the Welsh language were discussed at Assembly hearings today.